Leisure Park Entertainment is now 3 years old. 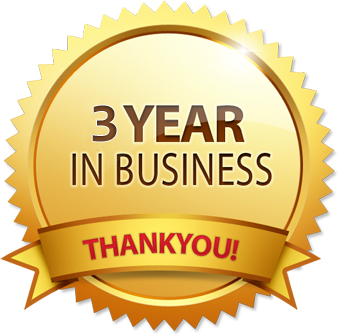 That's right, just 3 years ago, we started out and it's been an incredible journey so far. We've met lost of amazing people through the special events and cons we've participated in and have been overwhelmed by the response and positive feedback we've received. We're very thankful for the support and we will continue to work hard to bring you the same high the level of service and friendly attitude to make your shopping experience a positive one. We will also continue to try to bring in amazingly cool and unique products from all your favorite franchises and promise to introduce you with new franchises and product lines. Now, as a thank you to all we'd like to offer you 20% off anything on the site or in our store so we're going to extend our current Summer Sizzle sale for another...…3 weeks, as it's our 3 year anniversary. We have lots of great items in stock and always have new items arriving weekly so it's a perfect time to start your gift giving plans. We look forward to seeing you and here's to many more years to come!